It is more than a month since we got back from Gitex Technology Week in Dubai and we’re still snowed with mails and inquiries for IoT solutions for enterprise. While we’re busy attending to customers from the Middle East and scheduling our product demos, thought we’d share our experience and takeaways from the event. Gitex connotes one week of high end technology and it is one of the biggest tech events in the Middle East, this year being no different. With Robotics and Artificial Intelligence being the crux of the event, there was immense traction for new and futuristic technologies. The Internet of Things (IoT), Machine Learning (ML) and Block Chain were major crowd pullers for the enterprise audience and business owners. Digitization was the key ingredient to the recipe of the show. As far as businesses were concerned, visitors were on the lookout for technologies and software solutions that could help streamline their operations, reduce manual work and improve efficiencies. Organizations are clearly aiming to digitize their processes, simplify work at multiple operational levels and centralize operations, bringing in more visibility to the management. IoT seemed to be the favorite tech for achieving this! 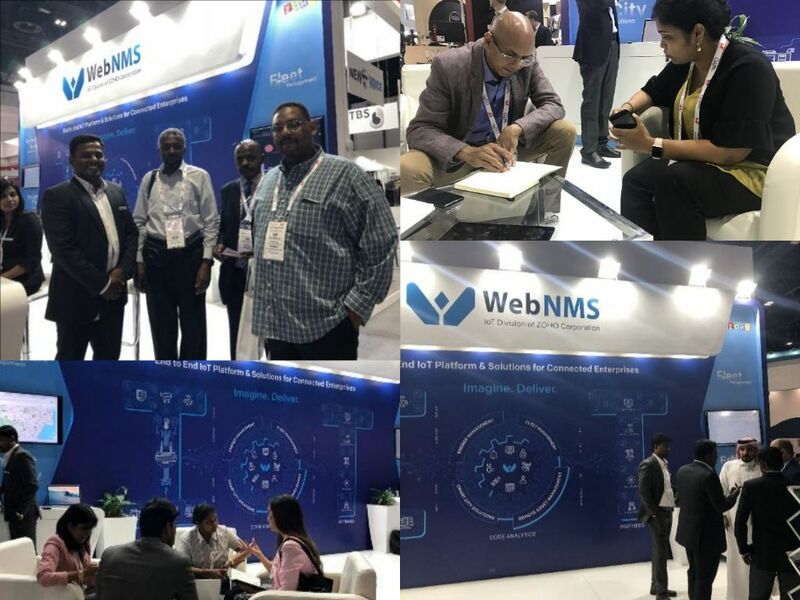 WebNMS had an extremely busy 5 days at the show, with our team on toes, consulting on how to improve operations with IoT Platform and solutions to achieve organization wide efficiency. What was new with WebNMS? 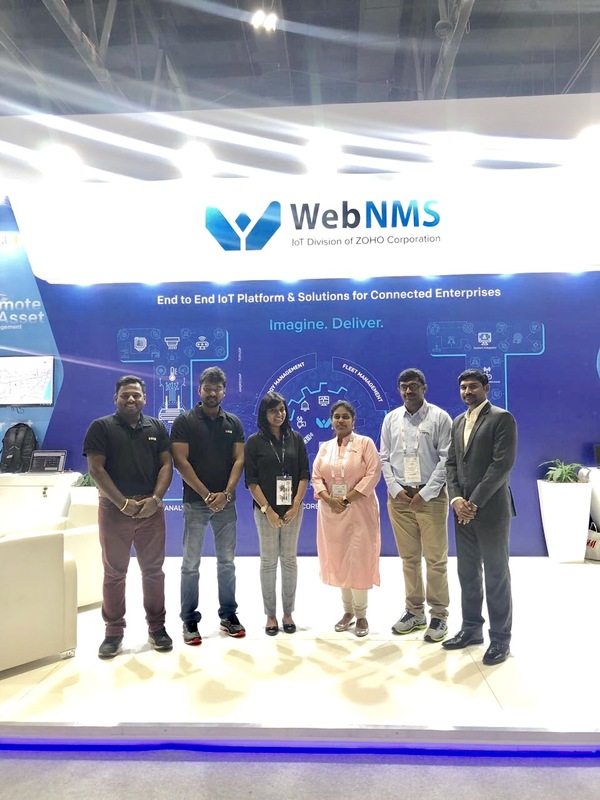 It was third year in a row for WebNMS at Gitex. This year can be bookmarked as one of the greatest years for us at the show due to numerous reasons! 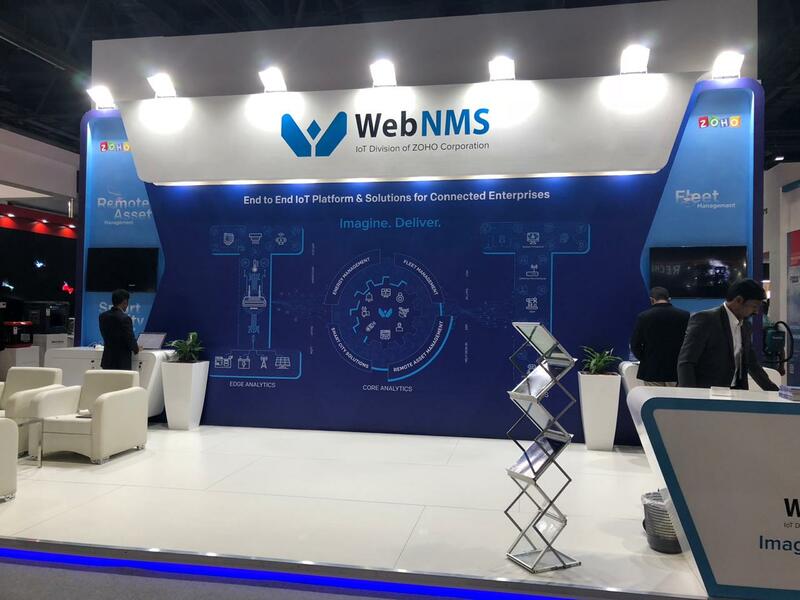 WebNMS IoT platform and modules were exhibited in a much bigger space than the previous years and I must say we really stood out quite literally in terms of visual appeal. However, it’s not just about how we appeared, it was about how we got to meet and understand the current Middle Eastern business challenges that made the event immensely useful for us. It was exciting to witness many business owners, technology leaders and CXOs stress upon the importance of implementing IoT to improve their operations and boost the business efficiency. We conducted a short survey with the visitors at our booth that helped fathom the interest level and understanding of IoT among business and technology leaders. Shall roll out a separate blog based on the survey results. Meanwhile, have a look at some of the interesting data we got from it. When asked if there was any IoT deployment already implemented in their organization, around 17% of the audience’ responded positively. When asked if they were planning to implement an IoT solution in their enterprise around 91% responded that they are planning to do so in the next one year. These numbers from the survey validate the fact that IoT would lead the way to future operations and businesses. Some of the major inquires were for fleet and logistics tracking , smart city solutions like water management and energy management. Customers want to be connected to their capital intensive assets and monitor the usage from anywhere on the globe. WebNMS champions the idea of integrating IoT data and rest of the enterprise app data existing in silos, for futuristic & unified operations management. This idea of ours was validated at the Gitex technology week! We had multiple inquires from customers wanting to integrate the data from siloed applications like ERP, CRM, etc. to IoT data from operations to gain portfolio wise visibility and accountability of the resources being used and processes being followed. Facilities was another highlight, this year. Together with Zoho Creator, WebNMS has engineered an integrated Facilities and Energy Management suite to address challenges faced by customers using traditional and obsolete CAFM software.